Looking for a reconstruction service after a flood or natural disaster? Or are you looking to remodel your home, church, or business? Look no further than Advance Companies! Our construction equipment is certified lead-free by the Environmental Protection Agency (EPA), and our in-house carpentry staff carries more than 22 years of experience into every job. In-House Carpentry Staff. 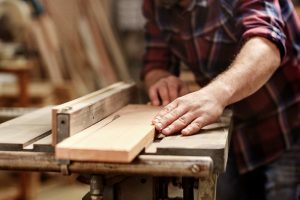 We offer an in-house carpentry staff so you don’t have to go to a third-party. All of our carpenters only work for us, so they can focus on what you need for your project. Blueprint Creation. Our staff can help you create a blueprint for your reconstruction or modeling needs. We create a schedule and determine deadlines for each portion of the project to make sure that your project is finished quickly and efficiently. Flooring. 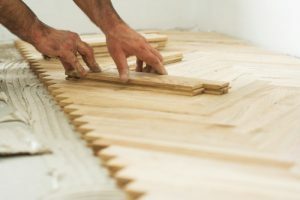 We are a flooring distributor that can work directly with you to get the wood products you need for your project. No third-party means less of a hassle for you. Not only will we work with you to create a remodeling or reconstruction plan, we’ll guarantee that you don’t have to jump through contracting hoops to get the work done. You will never have to worry about third-party companies. All of our carpenters work in-house and only work for us so we can provide you with the best service possible. It’s our guarantee. Contact us today or fill out the form at the top for more information.